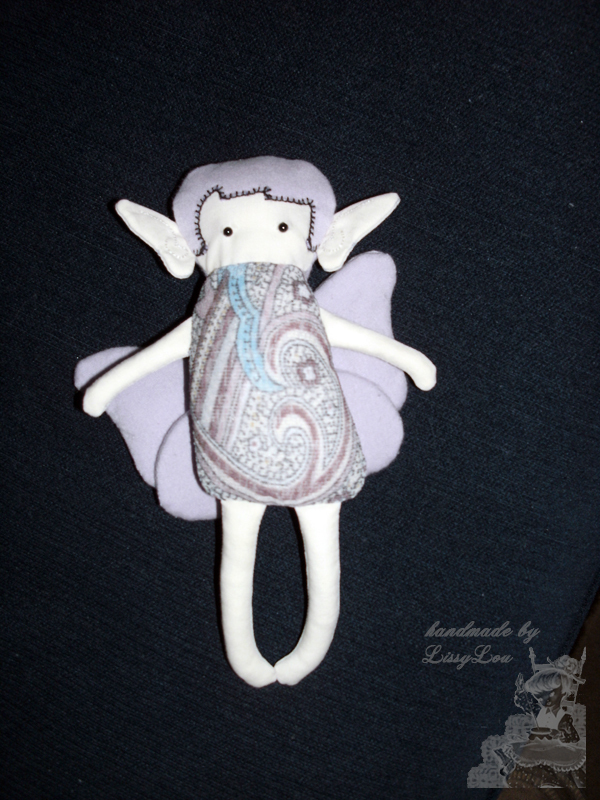 This is a mini version of my fairy rag doll. She is maybe just less then half the size of my original fairy rag doll but with double the adorableness. Her tiny arms and legs were a bit tricky to turn but she turned out so cute in the end that it was well worth the trouble. This little hand-sewn doll includes all the features her bigger sister has, including the fluttery wings and the ear details (that unfortunately do not show up well in the photo, sorry). Her fringe is blanket stitched, her eyes are tiny safety eyes glued on and her sweetness is all her own.